We will be joined by Aljaž Skorjanec and Janette Manrara, powerhouses from the iconic ballroom dance competition Strictly Come Dancing. Professional dancer and choreographer Aljaž Škorjanec has won over the hearts of the nation since joining Strictly Come Dancing in 2013. Aljaž jumped to the top of the leader board in his first season in 2013, winning the show and glitter ball trophy with model Abbey Clancy and has since danced with Alison Hammond, Helen George, Daisy Lowe, Gemma Atkinson (who he reached the final with) and Kate Silverton. 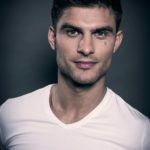 Aljaz found dancing at an early age and through dedication became a nineteen-time Champion in Ballroom, Latin, and 10 dance in his native Slovenia. Before joining Strictly Come Dancing he joined international touring show, Burn The Floor for four years. Aljaž and Janette are currently headlining in “Remembering Movies”, a UK tour celebrating the classic movie songs and dance routines, following two years touring “Remembering Fred” celebrating the legend Fred Astaire through song and dance. Strictly Come Dancing professional dancer and choreographer Janette Manrara has been dancing up a storm since joining the hit BBC One show six seasons ago and has continued putting her best foot forward. Stealing the spotlight with an array of celebrity partners including Julien MacDonald, Jake Wood, Peter Andre, Melvin Odoom, Aston Merrygold and Dr Ranj. Janette has also won The Strictly Christmas Special twice with partners Melvin Odoom and most recently Aston Merrygold. Originally from Miami, Janette attended musical theatre school specializing in acting, singing, and dance classes and through these disciplines developed the natural charm and charisma she brings in front of the camera today. Janette’s experience has seen her dance with Jennifer Lopez, danced in the 2010 Academy Awards, and was also cast as a principal dancer on the TV sensation “Glee”. Janette was in Season 5 of “So You Think You Can Dance?” before returning to the show in Season 8 as an “All Star”, and shortly after featuring in the theatre show of Dancing with the “Stars Live in Las Vegas!” before joining “Burn The Floor”.